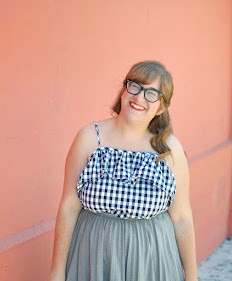 I'm over at Flock Together again today, showing you an outfit I really love. I apparently can't get enough of talking about Lisa this week (or, you know, ever) so I'm styling her animal print top over there. It's a true gem. Also, I'm a little bit obsessed with these sunglasses at the moment. Thank goodness for consignment stores in Santa Monica with cheap sunglasses that happen to fit my face. It's a rarity. Hope to see you there! Ooh Ill have to check this out. I always love seeing spaghetti strapped or strapless things paired with tshirts. Its not a look Ive ever tried but Id love to!